Natural hair can be difficult to maintain and take care of. 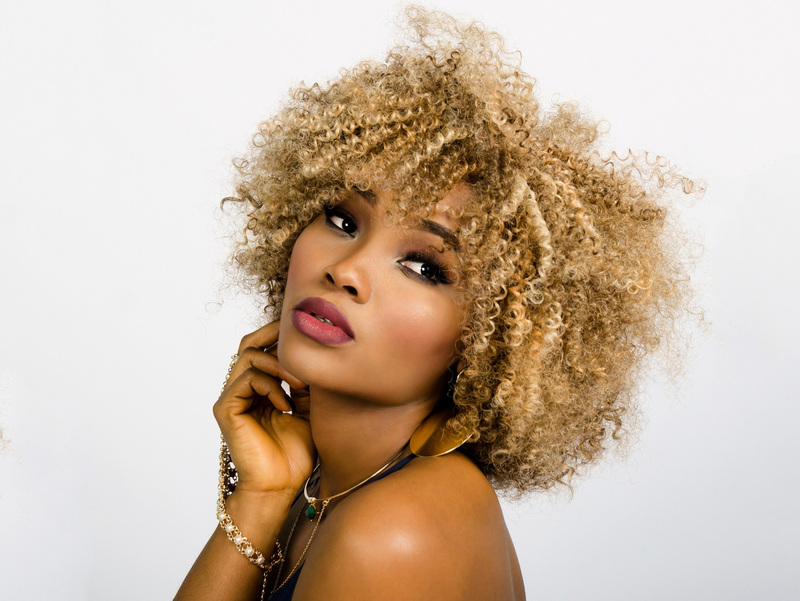 However, with our natural hair care tips below you will be rockin’ your hair in no time. Going natural is a beautiful way to express yourself and will have you wondering why you ever relaxed or permed your hair. So here it goes, 20 natural hair care tips you will need for healthy hair. Avoid shampoos and conditioners that contain harsh chemicals, such as sodium lauryl sulfate, sodium chloride, cocamidopropyl betaine, and everything else that you can not pronounce. Those chemicals are good cleaning agents, that’s why they are also used in laundry and dish detergents, but they are too strong for your hair. They will dry out your scalp, disrupt oil glands and reduce the size of hair follicles. Washing your hair too often strips your scalp of its natural oils (sebum), which causes the overproduction of sebum and makes you want to wash your hair even more. It is a vicious cycle and can only be stopped by washing less frequently. We recommend washing your hair with a gentle shampoo about once a week. Washing your hair with warm water opens up pores and rinses away dirt and oil. However, finishing a wash with warm water may cause overly dry hair and frizz, that is why a rinse under cold water is recommended. Rinsing with cold water closes the pores again and locks the moisture into your hair. For strong and healthy hair, find a shampoo or conditioner specifically made for your hair type. Wet hair is especially fragile and prone to breakage. Always wait until your hair is completely dry to avoid unnecessary hair fall. Avoid heated tools as much as possible, especially during the summer time. Frequent use can lead to breakage, dryness and split ends. Pat-dry your hair gently with a cotton t-shirt instead of a towel to avoid frizzy hair. Let your hair air dry whenever possible. Avoid bristle brushes as they may get caught in your hair and snap it off. Wide tooth combs are more gentle for untangling hair. Natural hair doesn’t have to be combed every day, use your fingers to detangle instead and only comb on wash days (after your hair is dry). Many hairstylists recommend using your fingertips covered with a little bit of leave-in conditioner to detangle. Coconut oil contains many essential vitamins and other nutrients that greatly improve your hairs strength and shine. Apply a small amount of coconut oil to your ends about once a week to avoid split ends. After washing your hair, apply a warm oil treatment using coconut oil, castor oil or olive oil on the roots of your hair. Wrap your hair and leave it on for 40 minutes, and then wash your hair. This will add shine and moisture to your hair. Natural hair needs extra moisture, however, hair grease contains petroleum, which makes hair stiff and dry. Instead of grease, use natural oils such as coconut, olive or castor oil. Wrap your hair with a silk/satin bonnet before going to bed or sleep on a satin/silk pillowcase. Cotton creates friction, which disturbs the hair follicles and causes split ends. Wearing a hat or head scarf while in the sun can help minimize frizz and split ends. Trimming your hair every 6-8 weeks is essentials for healthy hair. Your ends are the oldest part of your hair and like everything that gets old, they are prone to breakage. Trimming regularly and removing split ends will avoid further hair damage. Eating a healthy diet is not only good for your hair but for your whole body. A diet rich in vitamins and protein will keep your hair healthy and strong. Make sure to also include foods high in omega 3 fatty acids (walnuts, salmon, etc.) to keep your hair nourished and shiny. Water is the most essentials element of life and makes up 70% of your body weight. Drinking water keeps your hair hydrated from the inside out and we all know, hydrated hair is happy hair. Research shows that depression and stress can cause hair loss, so take a deep breath once in a while and just relax. During the sleeping phase our body spends time on repair and growth, so make sure to get at least 8 hours of sleep every night. This is probably the most important tip of all of our natural hair care tips. Be gentle. Be gentle when combing, be gentle when drying and be gentle when washing your hair. Harsh movements may significantly damage your gorgeous locks. We hope you found this article useful. Please feel free to share your own natural hair care tips in the comments below.